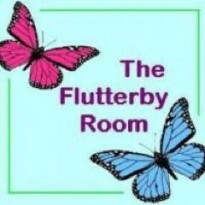 I'm a book blogger at http://theflutterbyroom.com and have been for the past couple of years. I thought I would give this site a try. 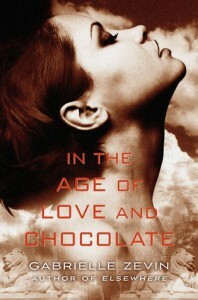 IN THE AGE OF LOVE AND CHOCOLATE brings to a conclusion Gabrielle Zevin’s The Birthright trilogy. Anya Balanchine has made some tough decisions, and gone through some very difficult circumstances, but her journey isn’t over yet. In this concluding book, Anya has to decide what she wants for her future. I fell in love with this trilogy and Anya Balanchine when I picked up the first book, ALL THESE THINGS I’VE DONE, and just grown more in love the further I’ve progressed. IN THE AGE OF LOVE AND CHOCOLATE has been a book I have been looking forward to getting my hands on for a while – I wanted to know how Anya’s story ended. Zevin brings her story to a stunning conclusion in this book, after one heck of a journey. It was really interesting following Anya when she opens her nightclub at eighteen, to when the book ends when she is around twenty-one. As always the story is narrated by Anya herself, and had her usual droll tone. There are occasional notes added to the narrative from the ‘current’ Anya, but I found that these notes added little to the narrative and in fact served to pull me out of the story – they ruined the flow for me, and often served to twist my interpretation of the original narrative which I found quite frustrating. I didn’t really care that ‘current’ Anya looked back on the events in a completely different way from the Anya who was telling the story. Zevin did a brilliant job of weaving all the different plot threads together, and although the ending of the book was pretty open I didn’t feel cheated. The strongest part of the book for me was the characterisation. Anya was definitely my favourite character still, and Zevin did a brilliant job of showing what sort of person she was and how her past had shaped her – I really liked the fact that Anya is very much her father’s daughter, even if sometimes she’d rather not be. I also really enjoyed it when Anya and Scarlet were together. They were still very much the best friends we meet in the first book, and I enjoyed the little story arc Zevin gave Scarlet. As always Anya is very proud of her little sister Natty, and Zevin writes their sibling relationship brilliantly – especially the conflict that occurs when Anya must act as parent rather than sibling for Natty. There is also the return of several familiar faces from the previous parts of the trilogy, which I really enjoyed. The overall plot of the book was what I was expecting from this series. I wasn’t sure where things were going to end up, as there were a lot of twists and turns – Anya made some really interesting choices. One in particular I thought was particularly fitting and in character, but Zevin almost seemed to change her mind about it which left me feeling uncomfortable. Despite this, IN THE AGE OF LOVE AND CHOCOLATE is a brilliant ending to The Birthright trilogy and if you have enjoyed the trilogy so far, then you will like relish this book too. Originally posted on The Flutterby Room.